The Sages taught: During the year in which Shimon HaTzaddik died, he said to them, his associates: In this year, he will die, euphemistically referring to himself. They said to him: How do you know? He said to them: In previous years, on every Yom Kippur, upon entering the Holy of Holies, I was met, in a prophetic vision, by an old man who was dressed in white, and his head was wrapped up in white, and he would enter the Holy of Holies with me, and he would leave with me. But today, I was met by an old man who was dressed in black, and his head was wrapped up in black, and he entered the Holy of Holies with me, but he did not leave with me. He understood this to be a sign that his death was impending. Indeed, after the festival of Sukkot, he was ill for seven days and died. Moshe, Aharon, Nadav, Avihu and seventy of the elders of Israel ascended. And they was the G-d of Israel, and under His Feet was like a brickwork of sapphire, and like the midst of the sky in purity. And to the leaders of the Children of Israel He did not send his "Hand"; and they saw G-d and they ate and drank. So, the question could be asked not only of that medrash, but also of these verse. As well as of Yirmiyahu's and Yechezqeil's visions of the Divine Chariot. Fortunately, this gives us many comments by medieval commentators to draw from. According to Rav Sa’adia Gaon (Emunos veDei'os 2:10), there is a kavod nivra – a created entity that is Divine Glory. The vision at Mount Sinai and that of Yechezkel were not of Hashem, as that is logically impossible. Rather, they saw this kavod. 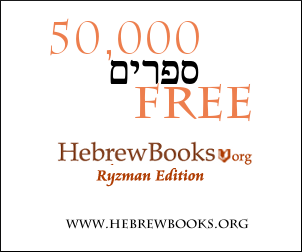 The Rambam’s approach (Guide to the Perplexed 1:64) is similar to Rav Saadia’s, except that he writes that the phrase “Kevod Hashem” is a synonym; it could refer to either Hashem Himself, in all His glory, or it could be used to refer to the kavod nivra. In our case, the text means that they saw the kavod nivra. However, in Moshe’s later request, he was asking to see Hashem Himself, which is why he was unable to have his desire granted. Rav Sa’adia Gaon writes that the shechinah is indeed part of the physical world, but that it is a kavod nivra. In fact, Rav Sa’adia Gaon holds that the term “shechinah” refers to any miraculous thing that reminds the viewer that Hashem is shochein beqirbo, dwelling with him. Thus, the pillars of fire and of cloud were the shechinah, as were the vision of Mount Sinai and of the Merkavah. Rav Sa’adia Gaon’s notion of kavod nivra can be a physical object. Therefore this vision could occur through regular, physical sight. This is where the Rambam’s opinion diverges. He holds (Guide 2:6) that the kavod nivrah could only be seen prophetically. It is different in kind to the pillars of fire and of smoke, which were physical entities created miraculously. The Ramban disagrees with both. In his commentary on the verse where Hashem promises Yaaqov that He will descend with him to Egypt (Bereishis 46:1), the Ramban says that “Sh-echinah” is a name of Hashem (which is why I just hyphenated his version, as I would any other name of G-d), not a created thing (nor a class of them). However, this does not mean that Mosheh and the elders actually saw Hashem in human form. The Ramban on our verse explains that the vision was prophetic. It would seem that in the Ramban’s view, a prophecy can be a vision of something that cannot truly exist. This indicates that underlying our debate there must be a basic difference in how the Rambam and the Ramban understand prophecy. Even though the Rambam agrees that the vision was prophetic, he still argues that it could not have been of Hashem, because He has no body. But that brings us to a different question, and a different discussion. received a message from G-d in metaphor form, and within that metaphor, He chose to represent Himself as an old man. Seemingly, from the simple reading of the Gemara, G-d can take a physical form. However the Yad Rama (Ibid.) says that to suggest such a thing is considered heretical. It was not G-d Himself, rather it was an Angel, or emissary on behalf of G-d who appeared to Sancheriv. It was a dream, and Sanheriv imagined in his own mind a representation of G-d appeared as an old man. These two answers of the Yad Rama may also be utilized to answer your question. Either it was a Angel, which can and do take physical forms. Or it was a dream, and the Kohen Gadol imagined it. This is a metaforic image illustrating the service in Temple on Yom Kippur which is figurative of an appointment in a precise material place between G-d and Jewish people representative. The whole service in the Temple has an allegorical dimension which plays with analogy between G-d and human king-judge. See in several places the Sefer Hachinuch, e. g. 95. In many places the chinuch explains the anthropomorphism of Tora and chazal as "from the side of the receivers", the language is addressed to men and is from human language. A person cannot perceive something without that perception taking some form of physicality. Peoples' minds tend to force whatever they sense into terms that they are used to. For example, the way the prophets describe what they "see". And from its midst was the likeness of four living beings, and this is their appearance; they had the likeness of a man. Similarly, we speak of people hearing Hashem because if ideas or words are put into their minds from outside, then they would interpret the concepts as the sense that their brains are used to sensing. People think in language or as pictures. Thus the Kohen Gadol would interpret whatever is being perceived in terms that he could understand. Additionally, someone trying to explain what he has seen would have to use words to explain in terms that the language can convey. In modern times, someone might call something a UFO, while in ancient times they might have called it an angel. Not the answer you're looking for? Browse other questions tagged midrash theology . Where is the Bandits/Teshuvah Midrash?